Apart from diving into the depths of the water, the Politiko has found a new leisure activity which involves flying drones above sea level. Zamboanga del Sur Vice Governor Ace Cerilles couldn’t help but be proud of the spectacular beauty of his own province. 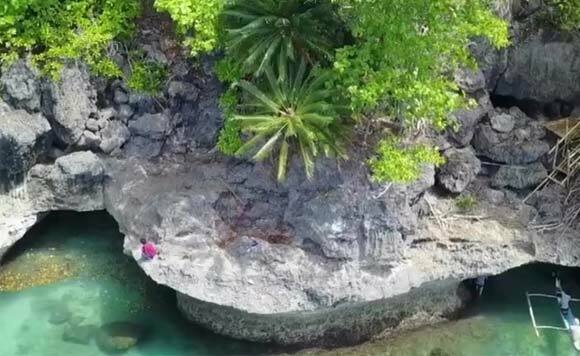 On his social media accounts, the Politiko shared a drone clip of the view of Blue Lagoon, Baganian, Tabina, which features crystal clear water, green trees and breathtaking rock formations. Tabina is a 4th class municipality in Zamboanga del Sur, mainly known for its beaches and aquamarine life.